Every year thousands of people across Canada take part in Terry Fox Runs. 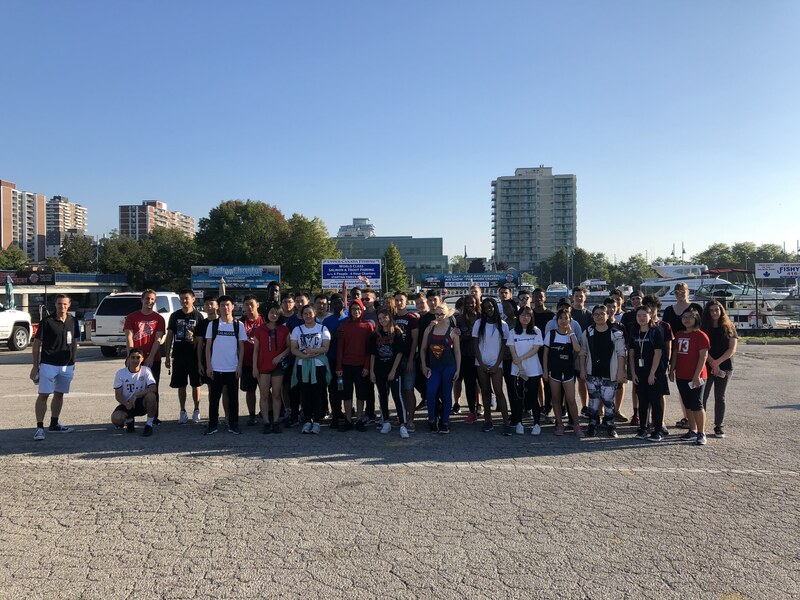 The Terry Fox Run is an annual charity event held in numerous regions across Canada to pay tribute of Canadian cancer activist Terry Fox and his Marathon of Hope, and to raise money for cancer research. The Terry Fox Foundation funds many different types of cancers including lung, breast, brain, oral and blood cancers. 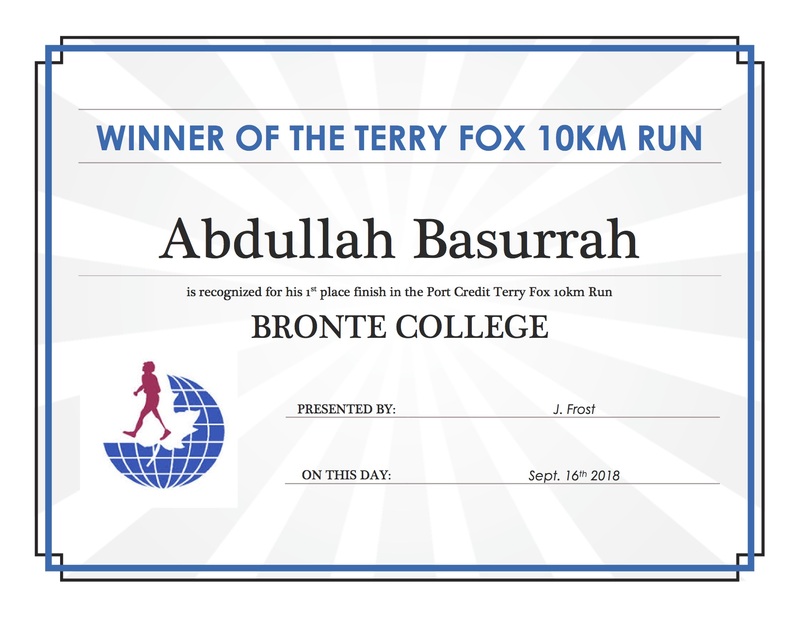 This year, over 100 Bronte College students participated in the Port Credit Terry Fox 10 km Run event on September 16, 2018 and generously donated over $1000 to cancer research! 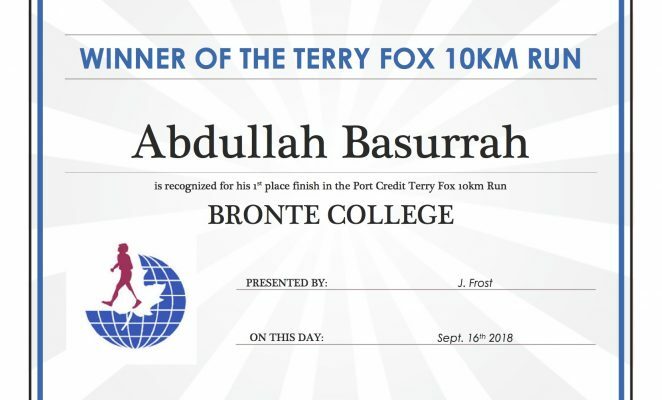 We would like to recognize Abdullah Basurrah for finishing 1st place in the 10 km race and beating out hundreds of runners. A special thank you to all Bronte staff members and students in participating in the event and donating to cancer research. 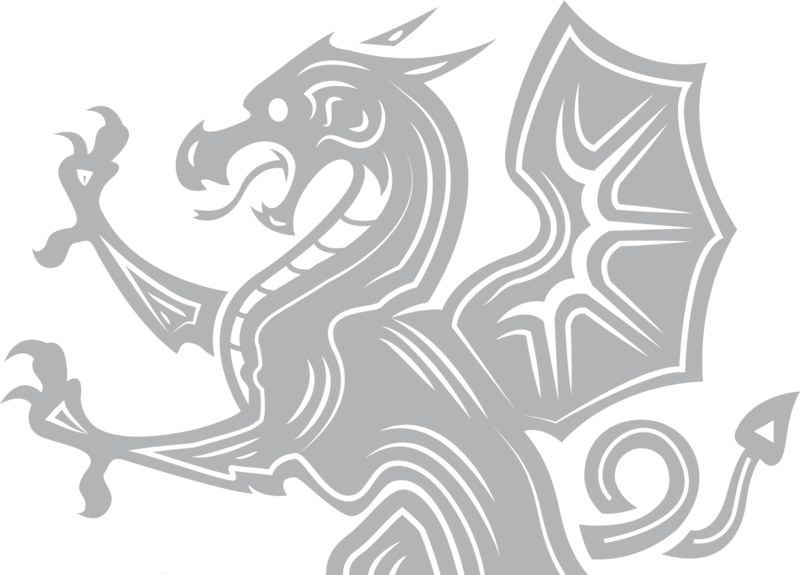 All donations will fund the best researchers in Canada!